But, working with your doctor, you can build a plan to lower your risk of complications and lead a healthier life while managing a chronic disease. Build a partnership with your healthcare providers. Talk with your primary care doctor and any specialists you see and make sure you understand the plan of care for your condition and how to follow it. If you have questions about treatments, medications, or the potential complications you may face if your condition is not well controlled, be open with your doctor. If you don’t feel ready to tackle to certain lifestyle changes, ask if there is a way to break one big change into a series of smaller changes that will still provide health benefits. It’s also important to make sure that all the doctors who are treating you have access to your comprehensive medical record to avoid duplicate testing and medication interactions. Don’t skip appointments or medications. While treatment for your condition may make you feel better, managing a chronic disease is a long term commitment. Make sure you go to all your doctor’s appointments, including regular physicals, eye exams, dental check-ups, and screenings and receive all needed immunizations since chronic diseases can cause problems that reach beyond your original diagnosis. Take all your medications as prescribed, even if you feel your symptoms are under control. Make healthier lifestyle choices. Getting regular exercise, eating a nutritious diet, managing stress, and getting enough sleep can all play a role in helping you manage your chronic disease. 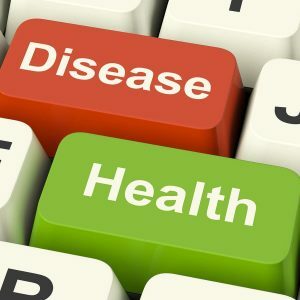 Other lifestyle changes that will have a positive impact on both your condition and your overall health include not smoking and drinking alcohol moderately if you choose to drink. Get additional support. Managing a chronic disease can be difficult and if you’re living with more than one chronic disease it can be even tougher. To stay on track with your treatment and lifestyle changes, it can be helpful to have a partner. Your insurance plan may include the services of nurse or case manager who can answer questions and help you manage your condition. A health advisor can offer similar services and provide evidence-based information on your condition and the latest treatment options. Family and friends can also be a valuable resource, especially when it comes to making lifestyle changes like eating healthier or exercising. If you have a partner to cook or walk with, you’re more likely to stick with your new habits.